Due to the success of the new branch of plastic card printing, Vital Digital Global (VDGC) announced today that it will launch Digi-press in Latin America and the Middle East in July of 2016. Last year VDGC entered the industry of plastic card printing after the success of its Digi-cards download cards, and quoting Gerardo Alton-Ortega (CEO) “If we can place our plastic download cards anywhere in the world in a week why not expand markets and industry and place any plastic cards (Hotel key cards, membership cards, gift cards, etc.) anywhere in the world in a week”. With an established network and proven logistic capabilities VDGC expects to make it easy on the customer to print high quality PVC plastic cards for any use at a low price, easy step ordering process, benefits like free global shipping and free professional design. 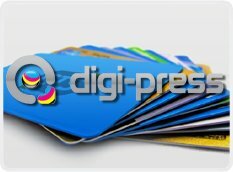 “After the original success of www.digi-cards.com and now of www.digi-press.us (USA & Canada) and www.digi-press.eu (Europe) we cannot wait to get LATAM and Middle East going” a VDGC spokesperson concluded. Digi-press LATAM will serve Mexico, Caribbean, Central and South America and Digi-press Middle East based out of Dubai will serve all the Middle Eastern Countries. 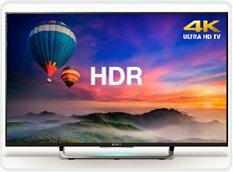 Vital Digital Global, parent company of the brand and product Digi-cards download cards, announced today that it is ready to offer HDR (High Dynamic Range) video for streaming and downloads. “We are ready and have the infrastructure to provide this service to our clients that wish to distribute their content through Digi-cards and Digi-codes,” Gerardo Alton-Ortega (CEO) said over the phone in a press conference. The new HDR videos display millions more shades of color and extra levels of brightness than normal ones, thus allowing images to look more realistic. “This makes our product even more attractive as the consumer’s choice for physical distribution of the future,” he concluded. Digi-cards download cards have become the global leader multimedia download cards producer in the world and the future of physical distribution with presence in all continents, while providing a safe and legal way to distribute content. For more information, visit www.digi-cards.com, www.digi-codes.com or www.download-cards.com. 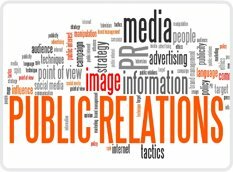 There is no doubt that social media has taken over advertising, promotions, and public relations; however, there is something that it cannot do: provide a tangible reminder of a product, which is otherwise known as constant branding. Once a person clicks away, that is it; most likely you will spend a huge part of your budget trying to brand your company for that person again. There is re-marketing, which is complicated and costly. How about old-fashioned marketing with a contemporary twist? This is Digi-cards. When you need a shock value product that can be used with an EPK, message, or multimedia content and one that will stay present in the hands of those you want, look closely at Digi-cards download cards. Not only do they provide you with a unique database, statistics, and demographics; they will remain in the hands and minds of those you want and they will be at a visual range most of the time. After all, who throws away a credit card? For more information on how PR professionals can benefit their clients using Digi-cards download cards, just contact us or visit www.digi-cards.com. Digi-cards download cards were the first option for multimedia custom download cards almost 10 years ago. During this time, many have tried to enter the market with several options now being available, however only a few have survived. As seen during the SXSW conference, without a doubt, the best option and product is still Digi-cards. When he was asked about this at a presentation, Jerry Harp (International Sales Manager), said, “It is simple, we offer the best product and value for the investment and the ROI for our clients is the best in the industry”. “We are not the cheapest and we do not want to be; we market to professionals and independent artists that care about their image. For example, would you like to sell or promote your product on a paper or laminated card? What does that say about your content or product? Our cards have many advantages over others that are similar in price, but none of the others offer cards with an appearance as sturdy and sleek as credit cards coupled with fully customized sites for PCs and Mobile devices, up to 2.5GB of content space, a Content Delivery Network, free professional design, and all in a simple package with free shipping worldwide. Who else offers that?” he concluded. Many movie producers and independent musicians that attend SXSW were distributing their product through Digi-cards and the ones that didn´t got embarrassed. Digi-cards are considered the “top of the line” download cards in the industry. For more information, you can go to www.digi-cards.com or www.download-cards.com. 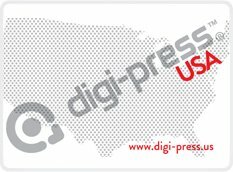 Vital Digital Global Corporation announced today that the launch of DIGI-PRESS late last year in the United States and Canada did a lot better than expected. The new brand of plastic (PVC) cards, manufactured and printed with a simple, no-hassle, all-inclusive price through a fast ordering process, is beating its expectations a few months since its conception. The company also announced that Digi-press Europe is about to launch officially at the end of March and they also expect good results. Gerardo Alton Ortega, CEO/Chairman, said, “Our plan is continuous growth; we have the Middle East market and expect to launch there this summer. We are also looking at opening a Digi-press for all of LATAM at the end of 2016, with the same concept: an all-inclusive, low price in local currency”. Following the success of Digi-cards download cards, a product on its own, Gerardo Alton Ortega decided after building a global infrastructure, “Why stay limited to one product when we can basically produce any type or use for plastic cards?” For more information on Digi-press.usand Digi-press.eu, please visit their websites.